The Street Scrambler's beautiful style, rugged off-road attitude and cool versatility has earned it a phenomenal reputation worldwide. 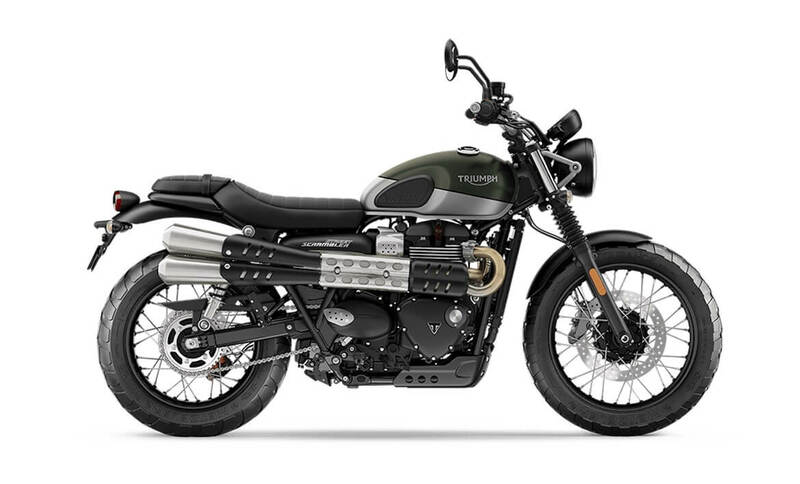 And now, new-for-2019 enhancements add a new dimension of performance, capability, comfort and style to one of Triumph's most accessible and easy-handling modern classics. With a significantly updated 900cc twin Bonneville engine for more power, higher standard specification equipment, new class-leading technology, more premium detailing and finish, and an even more distinctive and purposeful scrambler look, the result is a new generation Street Scrambler that's even more fun to ride than ever before. Beautiful looks, contemporary Bonneville character, precise easy handling; and the Street Scrambler's impressive versatility is enhanced by the fact that it's absolutely brilliant fun to ride. 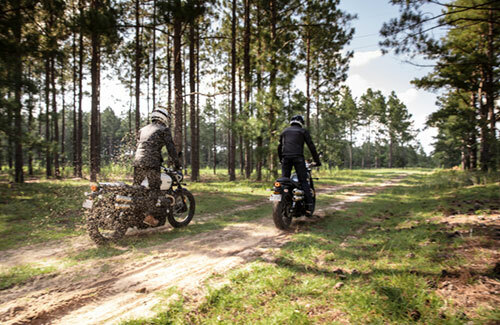 Enhance your Street Scrambler's style, capability, luggage, and off-road focus with purpose-designed accessories. There's a new 'Urban Tracker' inspiration kit, too. The smooth delivery of this updated Bonneville 900cc engine provides 18% more peak power to complement its signature thrilling high torque delivery. It's just one of many reasons to ride this exciting new generation. New to the Street Twin, and first in class, Road and Rain riding modes adjust the throttle map and traction control settings for enhanced riding control, via a dedicated mode selection button incorporated into the bike's left hand switchcube. Tastefully incorporated with minimal visual impact, the switchable capability of this bike's ABS and traction control is unique to the Street Scrambler and reflects the dual purpose nature of this exceptionally versatile motorbike. The Street Scrambler's torque-assist clutch brings a light touch and feel, making it easier to enjoy your riding for longer; a huge advantage over longer journeys and commutes that involve lots of stopping and starting. A host of modern technology to improve your riding experience have been sensitively incorporated into the Street Scrambler, including ride-by-wire, LED rear light with distinctive pattern, innovative clean line 'hidden cat box' exhaust pipe run, immobiliser, and USB charging socket. 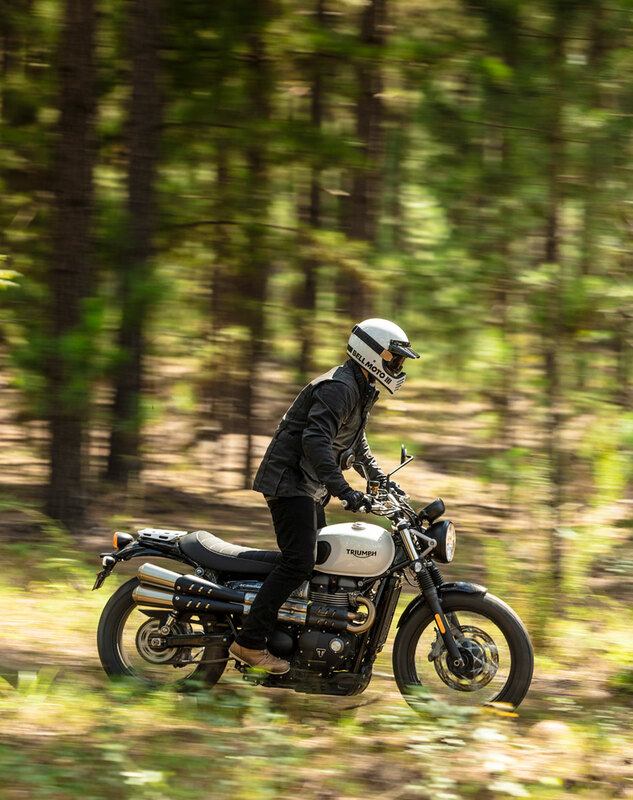 The new Street Scrambler's updated 900cc Bonneville twin engine adds even more power to its thrilling high torque delivery, which is up by 18% peak power output to 65PS with a rev range that's higher by an extra 500rpm. This is complemented by a host of premium upgrades including higher specification Brembo front brakes, cartridge forks, and more dynamic scrambler ergonomics for more control and comfort. 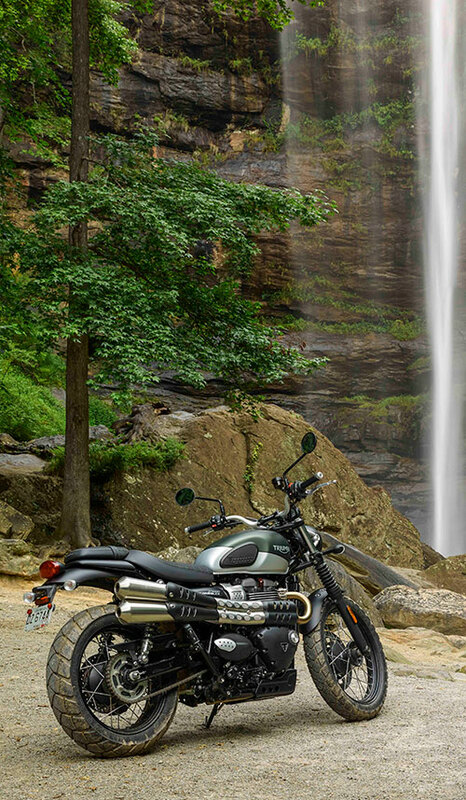 An advanced level of technology, with two new first-in-class riding modes, enhanced scrambler styling and more premium detailing, make this versatile easy-handling motorcycle even more purposeful and even more beautiful.